It’s often argued that event comics are far too prevalent these days, but when you have one that’s hot on the heels of “The Button” and stars Batman, well, it’s fair to assume that people will take notice, myself included. Although specific plot points surrounding the two one-shots set to ship under the Dark Days banner remain shrouded in mystery, the fact that they’re setting up Scott Snyder and Greg Capullo’s Dark Nights: Metal immediately puts them in “must read” territory. 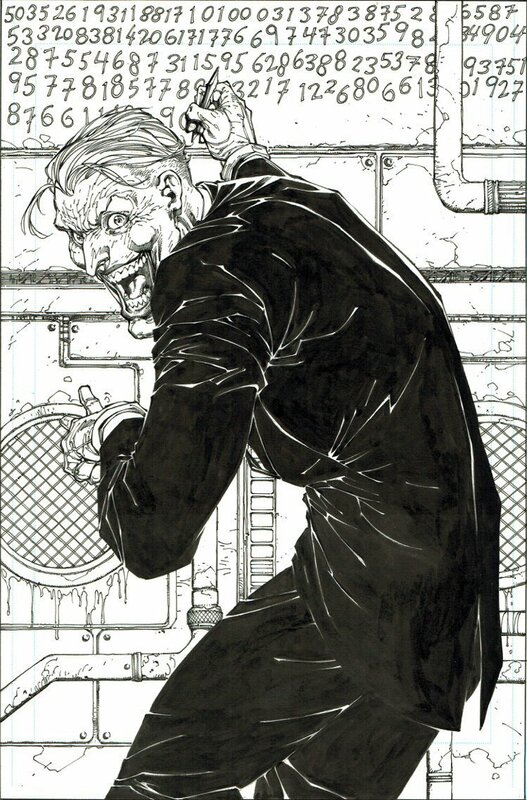 The latest exhibit comes in the form of a gallery for Dark Days: The Forge #1, which will be co-written by Snyder and James Tynion IV. Seeing as how we have well over a month to go until the book hits shelves, it doesn’t come as much of a surprise that the preview images are uncolored, some being only in the penciled stages. Still, what’s offered looks pretty impressive indeed. 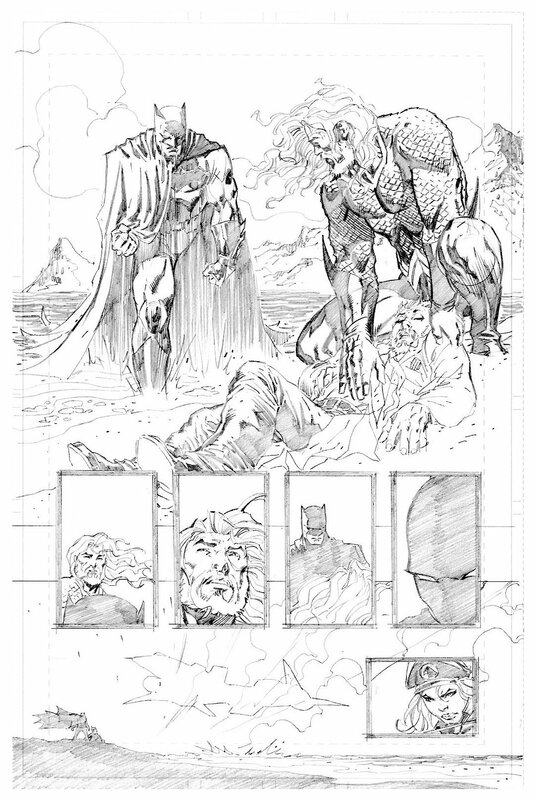 From what we can tell, John Romita Jr. served up the first image, with Jim Lee (who’ll also be supplying a metallic foil cover) providing the second. 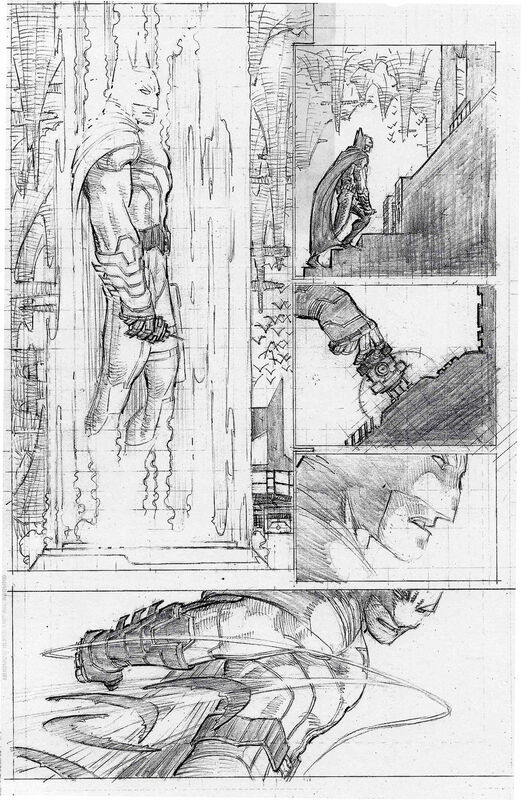 Andy Kubert is also slated to draw some interiors, so it stands to reason that the third image is his work, but seeing as how he’s been channeling Frank Miller these days and it does kind of look like Lee’s handiwork, it’s hard to say for certain. But, it’s of the Joker, so you can’t complain. 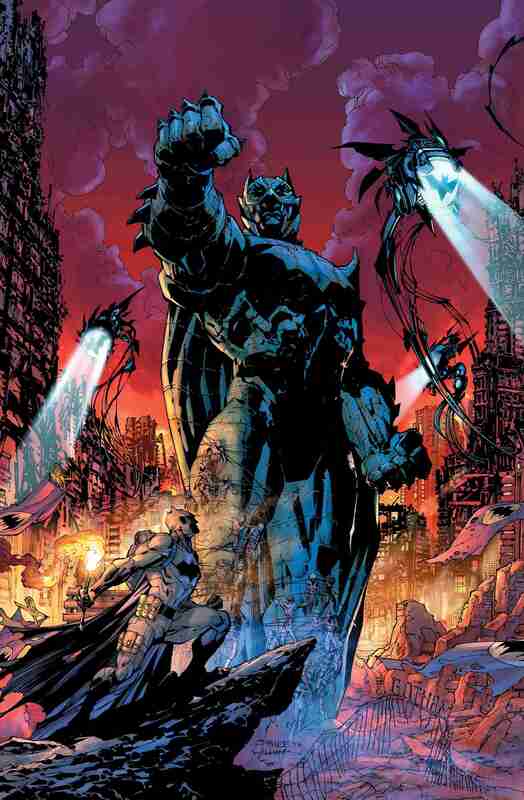 DARKNESS COMES TO THE DC UNIVERSE WITH THE MYSTERY OF THE FORGE! Aquaman, The Flash and more of DC’s pantheon of heroes suspect Batman of hiding a dark secret that could threaten the very existence of the multiverse! It’s an epic that will span generations—but how does it connect to the origins of one of DC’s most legendary heroes?